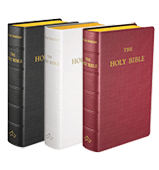 Baronius Press: Catholic Publisher of Catholic Books, Catholic Bibles, Daily Missal, Liturgical Books, Catechism, Catholic Classics - Online Catholic Bookstore. 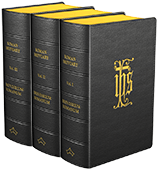 Fundamentals of Catholic Dogma by Ludwig Ott has been considered as the definitive single-volume summary of Catholic dogmatic theology ever since its original publication in German in 1952. This new edition by Baronius Press has been fully revised and updated and brings the language into greater harmony with current usage. This classic and comprehensive biography reveals how Jean-Marie-Baptiste Vianney overcame numerous obstacles to becoming a priest, exercising intense simplicity, humility and pastoral zeal to help him transform a miserable village disaffected with religion into a town attracting thousands of pilgrims a year. Canonized in 1925 by Pope Pius XI, he is now considered the Patron and exemplar of priests worldwide. Available exclusively from our webshop.